The field of industrial and organizational psychology is generally concerned with understanding and predicting human behavior in work organizations. As such, its practitioners are involved in the use of assessments aimed at characterizing or describing the status of individuals (e.g., workers or managers), collections of individuals (work groups or teams), and/or organizations. Moreover, these assessments can be with regard to attributes, processes, dynamics (changes), or level of effectiveness. Assessments can be conducted for purposes of categorization or description, as in the case of obtaining insights of a human resource management policy or practice. Thus, we might assess the proportion of workers who are dissatisfied at work as input to a management information system. Assessments also might be used for making or testing predictions, as when a researcher is interested in testing a theory of the antecedents or consequences of job satisfaction. However, assessments are typically made with regard to interventions. Here, assessments are used as a diagnostic tool to determine the need for or the nature of the most appropriate intervention. An assessment might be carried out to monitor the progress or the final impact of an intervention once initiated. In industrial and organizational psychology, the interventions themselves can vary widely. Generally speaking, the type or nature of the intervention will depend on its purpose. For the most part, the purpose of an intervention is usually to increase levels of effectiveness. Occasionally, it would be aimed at stopping or preventing something (e.g., accidents on the job) or changing behavior. The choice of intervention would depend on the psychologist’s conceptualization or model of the phenomenon of interest. Such a conceptualization typically has two components. The first relates to an in-depth understanding of the factors and forces producing the status quo. Simply stated, the practitioner must be able to explain the basis for the observed variance in an assessment (or symptoms as described by the client company). The second reflects an implicit or explicit model of change. Here, the psychologist must come to grips with just how the factors and forces operating in a particular venue can be modified in such a way as to bring about changes or desired outcomes. To illustrate, if the goal is to produce greater worker satisfaction, an intervention of choice must first be built around an assessment of work satisfaction that is valid and diagnostic. In this case, it would itself be guided by a model or theory of the determinants of job satisfaction. For most work organizations, current thinking about the antecedents of work satisfaction would implicate such factors as the work being performed, the quality of supervision, amount of compensation received, as well as stable individual differences regarding needs and values that are known to affect work satisfaction. Furthermore, once this diagnostic information is available, a framework or theory for guiding change in one or more of these factors must be identified or adopted. Continuing with the example, were the quality of supervision to be viewed as the primary cause for poor employee satisfaction, an intervention aimed at improving supervision would still have to be designed. This would be based on an understanding of the factors that control variance in supervision. To complete this example, an intervention of choice might range from retraining current supervisors, offering incentives to them for demonstrating more appropriate behavior toward workers, or even, replacing the current group of supervisors with those who are thought to be more suitable. As noted, assessments in industrial and organizational psychology can focus on the individual, the work group or even the organization. Furthermore, the nature (content) of an assessment can be with regard to attributes (of individuals or teams or organizations), to processes (their behavior) or to outcomes (the result of behavior). Assessments will usually be selected with reference to some purpose. Some assessments will be aimed at the measurement of a construct or variable (for research), others at diagnosis. But frequently measures (especially at the level of the individual) are gathered for purposes of prediction (e.g., of future job performance). Finally, assessments will differ considerably according to methods used (Schmitt & Klimoski, 1991). The following is an outline of the major forms of assessments found in the field. Most assessments of individuals are obtained from observations and judgments made by trained staff in standardized settings. Assessments here are usually made with the goal of establishing the person’s status relative to a construct of interest (Murphy, 1996) or for the purpose of taking administrative (personnel selection) action (Schmitt & Borman, 1993) or providing a developmental intervention. Traditional examples include assessment centers, job sample (performance) tests or work simulations. The structured interview and the psychological assessment interview should also be highlighted. Furthermore, the latter can involve the use of more than one participant-observer as in the form of a panel interview. Observations of individuals are often obtained in naturalistic contexts as well. In this regard, assessments can be based on ratings from supervisors, peers, or subordinates, and even customers. When these are obtained from several points of view on the same or similar instruments and at the same time, the assessments are commonly referred to as multisource or 3600 ratings. These too can be with regard to such things as a person’s attributes (traits), typical behaviors, levels of performance, or potential. A second prevalent approach to assessments at the individual level involves standardized tests. These usually are of two general types. Cognitive ability tests usually are aimed at estimating the achievement or capacity for cognitive functioning in one or more domains (e.g., the amount or use of knowledge, verbal or math reasoning. or judgment). On the other hand, tests may be used to assess aspects of personality, that is, job-related traits or qualities, expected behaviors, mood disposition, needs, or values. Most tests require the individual to respond to written material presented in a paper format. But increasingly, tests are computer administered and scored. Individuals may be assessed by way of other types of self-reports, such as a biodata inventory. This involves responding to a series of questions relative to one’s developmental experiences as these would produce or would reflect certain qualities needed for job success. A special version of this is what has become referred to as an honesty test or integrity test (Ones, Viswesvaran, & Schmidt, 1993). This type of inventory contains a mixture of background and values items. Finally, the individual may be assessed with regard to products or artifacts of behavior. Approaches here can range from the use of records such as employee attendance data, the handwriting analysis of scripts (also known as graphology), the tracings of a polygraph machine in response to a set of “guilty knowledge” questions, and drug testing based on blood or urine samples. There are three principle approaches to assessment in this area and parallel those aimed at collecting information on individuals: observations, ratings, and an analysis of artifacts. Insights about teams are usually based on observations in standardized settings, often in training simulations or low-fidelity simulations, such as computer-mediated business games or, as in the military, war games. In actual work settings, supervisor or customer ratings might be used. In both contexts team member ratings might also be obtained to get at those aspects of team functioning of interest. Finally, the artifacts of team and team member behavior might be assessed. Included here is the content analysis of team processes based on recorded verbal or written communications patterns and team activities and the use of team performance measures. In general, the valid assessment of teams requires that it be done over some extended period of time or across assignments or tasks (O’Neil, Baker, & Kazlauskas, 1992). The assessment of organizational level phenomena will also depend on the purpose or the goal of the investigator. However, in all likelihood, it will involve the systematic gathering of information from current employees. This can take the form of key informant interviews, including contacts with the chief executive officer (CEO). Focus groups made up of six to ten employees might be convened. Far more frequent, however, is the use of organizational climate surveys to gain insight as to aspects of company climate or culture. For some applications, surveys may be aimed at obtaining the views of customers, suppliers, or shareholders as well. As in the assessment of teams, the assessment of organizations may also involve the analysis of artifacts. This includes the content analysis of written or electronic communications (e.g., policy manuals, news releases, even commercials), or an analysis of practices with regard to the built environment (the size and location of office space given to employees and other signals of cultural values). Finally, an organizational assessment could rely heavily on an analysis of company performance data (e.g., growth in sales. market share), including indices of financial viability (e.g., return on assets). At this point in time there is no single or standardized approach to assessments for purposes of organizational research or practice. While there is an evolving consensus regarding the better psychological tests available for a given application, operationally most of the approaches to assessment noted above should be viewed as labels representing a class of specific forms. They also imply existing protocols or prototypes. Thus, for example, with regard to a structured interview, the field offers a great deal of guidance about appropriate features, but professional judgment and local empirical work would still be required to implement an interview as an assessment device for a given purpose (for personnel selection) in a particular organization (Campion, Palmer, & Campion, 1997). Another aspect of assessments in industrial and organizational psychology worth stressing is that even well-designed tools for assessment typically require skill and experience in order to obtain valid data or insights. This implies that administrators, consultants, practitioners, or researchers would have to demonstrate their capacities in the correct use of a tool. Moreover, this should be done relative to a particular setting, and for a particular application, before the information gathered can be treated as credible. In the context of this article, the notion of an intervention should be construed to mean any recommendation, activity, project, or program that has been offered or created as a result of a request for professional service to an organizational client. As such, it is seen here as a response to a symptom. a stated client need, or, ideally, would stem from a systematic inquiry or an assessment. In most settings, the intervention is an agreed upon means to either solve a business linked problem (often a human resource management problem), improve individual or organizational effectiveness, or to otherwise support corporate strategy. Given this broad mandate, an intervention can vary in scope and intent. This implies a temporal dimension. One aspect of this is related to just when the intervention must show its effects. Some will be aimed at mitigating a symptom (e.g., low morale) in the short run. Others involve literally transforming the company into something that it needs to be in order to be competitive in the future. But two other aspects of the temporal dimension exist. One of these relates to just how long it takes to carry out the intervention. A counseling session aimed at correcting the habits of a manager “in trouble.” might be completed in a weekend. On the other hand, a program designed to improve the skills of first-level managers in team building might take many months. Finally, the time it takes for the effects of an intervention will vary. Thus, a team building skill, once imparted to a manager, may not show an effect on such relevant outcomes as assessments of team productivity until much later. Given the nature of team productivity, team building skills, once imparted, would still have to be translated into team interventions. Finally, these too, in turn, would have to be incorporated into practice at the team level before any productivity gains could be expected. Another complexity in characterizing industrial and organizational interventions stems from the fact that a goal of a client might be accomplished using any one of a variety of means. As seen in the example on improving the level of work satisfaction offered previously. a number of options exist and would probably work (in the sense of positively affecting levels of work satisfaction). Then, too, the nature of most organizationally relevant phenomena is that they are “over determined.” That is, the status quo is usually the result of the convergence of a variety of factors operating in concert. This may come about as a result of an actual company plan to do this. For example, most companies are quite conscious about using a combination of careful selection, training, and supervision as a way of promoting high levels of individual job performance. Just as often. it stems from the systemic nature of work organizations and the natural and spontaneous interaction of several factors (Katz & Kahn, 1978). To illustrate, the current levels of absenteeism in work organization are known to be a result of such diverse things as company attendance policies, satisfaction with the work to be performed, family pressures facing workers, and unemployment rates in the community. Thus, when designing or selecting interventions, part of the diag­nosis must involve the assessment of the multiple factors that may be operating. By extension, the success of an intervention, then, would depend on operating on not one but a set of these factors. In much of psychology, the focus of theorizing and of practice is on the individual. Interventions are done to affect variance in some individual level outcome. This might include attitudes or behaviors. In the field of individual and organizational psychology, this is frequently the case. However, it is also quite common for the target to be the change of functioning of the work group or team or of the organization as a whole. One important feature of interventions in industrial and organizational psychology has to do with the level of analysis and operation involved. Put simply, for a given target at one level of interest, theory and practice in the field allow for interventions to be selected and orchestrated at other levels. Thus, to change an aspect of worker behavior, one could intervene on that behavior directly or one could do so at the level of teams or organization systems. As implied earlier, in fact, it is often desirable to operate at several levels of intervention to produce a desired effect. This multiplicity of means and ends allows for a great deal of flexibility to tailor interventions to suit local conditions, but it also makes it difficult to unequivocally assert the merits of a particular approach to bringing about change. In the context of industrial and organizational interventions, attaining desired changes really does depend. This also makes predictions regarding the probable impact of a particular package of interventions difficult. It depends as well on the appropriateness of the combination selected for the goals at hand and on the skill and diligence applied to executing the program change itself. The comments describing the complexity of both the nature and the dynamics of interventions in industrial and organizational psychology points out some of the difficulty that one would have in trying to provide a concise treatment of types of interventions. However, by way of an overview to the field, the following sections will be organized around the interventions most frequently used at the individual, team, and organizational levels. The reality is that an intervention at a given level may be applied to a range of problems or in the service of a variety of goals. Socialization refers to the process by which a new worker comes to learn and appreciate the company’s norms and culture (Louis, 1980). As a process, it can occur over an extended period of time. In fact, socialization is thought to occur even before a person is hired— shaped by a company’s recruitment practices. Socialization is most strongly affected by interventions that take place during the early days of a new worker’s tenure. Such things as orientation training, mentoring programs, and the close supervision of the newcomer are common practices here. Training may be aimed at preparing new employees for work, but it is probably the major way that industrial psychologists (and work organizations generally) try to bring about change in individuals. Usually, training is designed to improve job-relevant knowledge, skills, and, ultimately, performance, but it can be directed at changing certain attitudes and behaviors that are thought to be dysfunctional (e.g., unsafe acts, prejudice). Performance feedback on a regular basis or under the special circumstances of an employee development program represents the second most prevalent form of an intervention aimed at individuals. Changes of a more profound nature may be accomplished through coaching or counseling. Here, the focus may be on reducing manipulative behavior (e.g., substance abuse) or on aspects of a dysfunctional self concept. When assessments and intervention occurs in the actual work setting and in “real time.” this approach is sometimes called process consultation. Most often contact is in a professional’s office. In contrast to the typical training intervention, coaching or counseling is usually tailored to the needs of the specific individual and the intervention is a more personal one, lasting over a longer period of time. It may be carried out by a member of the firm (a supervisor or a human resource department staff person), an external consultant, or a professional retained as part of an employee assistance plan. Occasionally, a version of organizational behavior modification will be selected as an intervention and directed toward an individual. Here, the worker is provided (usually by the immediate supervisor) powerful incentives or sanctions for changing behavior patterns. However, when such arrangements are adopted, it is not usually aimed at a specific individual but at all workers or selected subgroups of employees (i.e., as in an attendance incentive plan). Most of the approaches to changing individuals can be used (in modified form) to influence team processes and outcomes. In this regard, team training is a very common type of intervention. However, when it comes to teams, there are some distinctive forms that are worth noting. Team staffing refers to actions designed to configure (or reconfigure) the composition of the team. This intervention might be most appropriate when either the number or the nature (e.g., knowledge or skills) of team members is diagnosed to be the reason for an unsatisfactory state of affairs. Similarly, changes in team leadership may be the intervention of choice. Interventions aimed at team process usually take the form of team building. Here, a manager, staff person, or consultant works with the members of an intact team to change interpersonal behavior, roles. or work-related norms. This may involve process consultation, workshops, or participation in simulations or even games. Finally, team functioning and team performance can be enhanced through the introduction of team decision support systems. Usually, this requires the development and introduction of computer hardware and software designed to acquire, store, and allow for the retrieval of information, but support systems (also known as expert systems) can offer decision guidance in the form of options or recommendations or through the capacity to test out scenarios, allowing a team to validate their initial choices (Coovert, 1995). 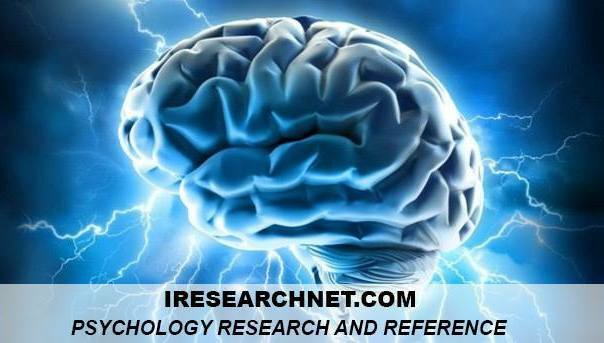 Most industrial and organizational psychologists are employed in or by representatives of work organizations. As such, their “client” is typically the firm itself. Furthermore, while an intervention on behalf of the firm, as noted previously, can be directed toward a single employee and a work unit, most are implemented to improve some aspect of organization-level functioning. The organization may be experiencing symptoms of stress, such as reflected in employee turnover, poor sales performance, or labor strife. An intervention also may be motivated by management’s decision to attain higher levels of functioning than in the past. Then, too, the introduction of new technology is frequently a catalyst for an intervention. Finally, interventions are usually needed when a company is being acquired by another or when two companies merge. Organizational functioning is strongly influenced by the existence and nature of human resource management (HRM) systems. These include selection systems, training systems, compensation systems, performance management systems, career planning and succession system, and conflict handling systems. Consequently, an intervention at the organizational level aimed at improving organizational effectiveness might involve changes in any one of these HRM systems. Typically, an assessment would guide where changes are warranted. Usually, however, a change on one would call for an adjustment in the others, thus systems alignment is typically an intervention goal as well. An organizational assessment might reveal the need for structural change. Here, structure refers to the arrangement of work roles, work flow, work-related communication, and lines of authority that a company employs. Interventions to change or improve organizations typically require a change in structure. In the United States, a large number of companies are moving to redistribute work in a way so as to use fewer, better qualified employees (downsizing). In this regard, a particular structural intervention, referred to as team-based management, is popular as it is felt to offer reduced staffing levels as well as other advantages. When lack of effectiveness can be traced to poorly developed work related processes, an intervention might take the form of process re-engineering. This is a fairly technical intervention aimed at rationalizing and streamlining work flows and worker interdependencies. Here, the industrial and organizational psychologist would team up with industrial engineers and specialists in such fields as materials handling, information and accounting systems to improve one or more process (e.g.. dealing with poor product quality or handling customer complaints) central to business viability. Organizational leadership has been found to affect overall organizational effectiveness. Thus, an intervention can be aimed at members of the top management team. This could make use of any of the team-level interventions noted earlier, but it also might involve working with the company’s board of directors to replace the CEO (executive selection) if an assessment reveals that this is what is most appropriate. A final approach to interventions at the organizational level to be reviewed here is called organizational development (OD), which typically refers to a class of social science theory driven interventions aimed at changing attitudes and values and related behaviors of people working in the firm (Smither, Houston, & Mc-Intire, 1996). Because the focus is on people, any of the interventions relevant to individuals and teams might have some utility as part of an OD effort. However, the key to OD is a systemic approach to how people are contacted and involved in change. Moreover, OD is predicated on a belief in the potential of most people. Thus, employee involvement is usually central to any intervention. Consequently, if team building is done it is done for all work teams, usually starting with the top management team. If self-reports (surveys) are used, survey data are obtained from all or a substantial number of employees. Results are systematically provided (survey feedback) as a catalyst and guide to change. In all cases, though, the intervention is laced with input from employees. Thus, the change is “owned” by employees as a result of their direct or indirect participation. The practitioner serves as a consultant to the process. Some organizational development efforts are targeted at deep seated issues and aimed at profound change. As such, rather than merely try to make adjustments in worker (and management) attitudes and behaviors, entirely new world views are needed. This is sometimes referred to as organizational transformation (Smither et al., 1996). A transformation might be required when two firms with very different value orientations are to be merged as one, more commonly, when (especially public sector) companies try to reinvent themselves to be more customer- or market-focused organizations. This means that customer needs and preferences would take precedence, even over the views of management. Organizational transformations are quite difficult to perform successfully. At a minimum, interventions must be developed and carried out at several levels, and done so in a coordinated fashion. And it takes time. Three to five years is not unusual. In the end, though, success at a transformation may come down to recruiting and retaining new employees with the skills, the attitudes, and the values consistent with the vision held out for the organization in the future. As implied throughout this article, at its base, most industrial and organizational interventions are aimed at individuals. Assessments and interventions in industrial and organizational psychology are numerous and exist in various forms. In practice, they are usually interwoven in collaboration with a client to improve the functioning of individuals, work teams, and the work organization. That said, however, the successful application does require a great deal of understanding as to just when, where, and how to do this for maximum benefit. Campion, M. A., Palmer, D. K, & Campion, J. E. (1997). A review of structure in the selection interview. Personnel Psychology, 50, 65-72. Coovert, M. D. (1995). Technological changes in office jobs: What do we know and what can we expect. In A. How­ard (Ed. ), The changing nature of work (pp. 175-208). San Francisco: Jossey-Bass. Louis, M. R. (1980). Surprise and sense-making: What newcomers experience in entering unfamiliar organizational settings. Administrative Science Quarterly. 25, 22-25. Murphy, K. R. (1996). Individual differences and behavior in organizations. San Francisco: Jossey-Bass. O’Neil, H. E, Baker, E. L.. & Kazlauskas, E. J. (1992). Assessment of team performance. In R. Swezey & E. Salas (Eds.j, Teams: Their training and performance. Norwood, NJ: Ablex. Ones, D. S., Viswesvaran, C., & Schmidt, E L. (1993). Comprehensive meta-analysis of integrity test validates: Findings and implications for personnel selection and theories of job performance, Journal of Applied Psychology. 78, 679-703. Schmitt, N., & Borman, W. (1993). Personnel selection in organizations. San Francisco: Jossey-Bass. Schmitt, N., & Klimoski, R. J. (1991). Research methods in human resources management. Cincinnati, OH: South­Western. Smither, R. D., Houston, J. M., & McIntyre, S. D. (1996). Organizational development. New York: HarperCollins.